In a longish life, I've met a lot of people who are comfortable in wildly different temperature extremes. Speaking for myself, I like it hot. I keep the thermostat in my house fairly high, and I've happily played golf in the summer in Phoenix (the green fees are way cheap then!). I've also known people who preferred cold, who liked to sleep with the window open, even when it was snowing outside (I grew up in Minnesota). But one thing that I find everyone agrees on is that heat combined with high humidity is awful. No one likes that. If you've experienced it, you know. I experienced 18 years of high-humidity summers in Minneapolis, Minnesota, and I really hated it. If you're not familiar with the four seasons of Minnesota, yes it gets terribly cold in the winter, and it can also get up into the eighties, or nineties in the summer. If you've never experienced those temperatures with high humidity, then it's probably impossible for me to explain how awful they are. Yes, I'm one of those people in Phoenix who say, "But it's a dry heat!" 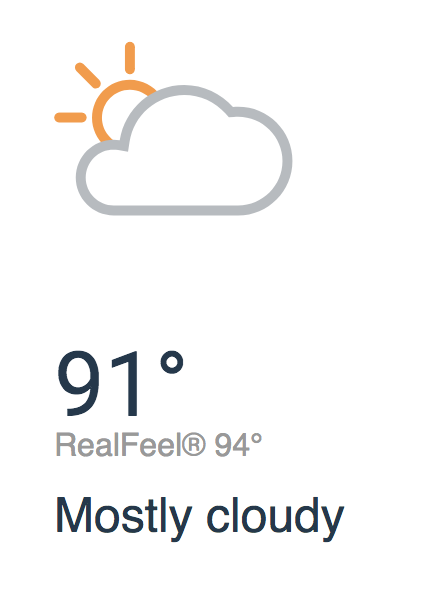 And believe me, I'd rather have 100 degrees with low humidity than 80 with high humidity. Of course, 115 degrees is awful even with low humidity. 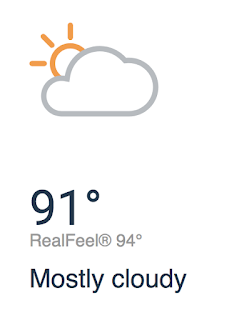 But for people who haven't suffered through the awful swelter of high humidity and even moderately-high temperatures, talking about a "dry heat" just sounds ridiculous. So I can tell if someone has experienced it, or not, by how they react. I have a good friend who spent his entire career out on the hot asphalt of Phoenix doing road work. He laughs off high temperatures that have me going into the shade, or seeking out air conditioning. And yet he even he shudders at the humidity that he felt in Vietnam, fifty years ago. He knows what a dry heat is. Phoenix has two rainy seasons: one in the hottest days of the summer, and one in the winter. The summer season rains can be wonderful, as the sky opens and water falls from the sky. The drawback, of course is when it looks like it might rain, but it doesn't. And on those days the humidity can be high, even if the temperatures are a little lower, because of cloud cover. I hope this helps. No, I won't scoff at you if you don't understand "but it's a dry heat!" In fact I'm jealous. I will never forget the days of my hair itching like crazy and the nights that I was unable to sleep because of the humidity when I was a kid. I appreciate the dry heat of Phoenix.